Style, simplicity and sophistication…terms to express a perfect wedding day at Arundel Hills Country Club. Say ‘I do’ with panoramic views of the golf course’s rolling fairways at this iconic Gold Coast wedding venue. Cedar Creek Lodges is a picture perfect wedding and honeymoon destination in the Gold Coast Hinterland. Plan your dream wedding with every moment in one romantic rainforest location. If you are looking for the perfect Tamborine Mountain wedding venue that is close enough to the city to be convenient, then Cedar Creek Estate is for you. Choose from a range of reception venues in a beautiful Gold Coast location. It’s Your Wedding… and Albert River Wines is the perfect venue to make it an amazing and memorable occasion. Pledge your love surrounded by the beautiful ambience of lush grape vines and the panoramic Mountain Views! Within the idyllic surrounding of Bond University, you will have lifelong memories of your special day. This venue offers unique ceremony areas, stylish reception facilities and the perfect backdrop for wedding photos. Coolibah Downs Private Estate is a picturesque estate set on 10 Acres nestled in the Gold Coast Hinterland. Surrounded by enchanting & romantic gardens, this Gold Coast wedding venue creates a unique and memorable experience for your big day. Set amidst beautiful tropical gardens and situated just 200 metres from the beautiful Gold Coast beaches, Crowne Plaza Surfers Paradise has everything you need for that day in your life when detail and perfection mean everything. Celebrate your wedding surrounded by the beauty of the Gold Coast at Novotel Surfers Paradise. Tailor one of our fully customisable packages to your individual needs and style and say ‘I Do’ in the heart of paradise. With over 20 years filming experience, Gold Coast Wedding Videography provide you with steady, well framed video of your special day, all filmed in glorious widescreen definition. Not only that, the creative flair of the editing will be sure to wow you! Fisheye Studio captures your wedding through a memorable, cinematic vision. With a number of packages available, Fisheye Studio will ensure that all of the special moments of your big day are captured and presented beautifully. Matt Barwick creates incredible wedding videos while giving you space, time and the freedom to enjoy your day. Contact Matt Barwick for unique, inspired and passionate wedding videography that will help you to remember your day forever. Motion Art’s approach is not just about documenting every moment, but also about finding and capturing all the true emotion, real moments exuding excitement and celebration. They’ll capture your unforgettable memories. Angie Branch Photography wants your wedding photography to tell your unique story. With Angie’s exceptional expertise, professional eye and big heart, she will capture beautiful and timeless images of your once in a lifetime occasion. Gold Coast Wedding Photographer John, from JD Wedding Photography, provides affordable wedding photography to the Gold Coast & Mt Tamborine. As an experienced Gold Coast wedding photographer, he can capture your day beautifully. As an award-winning wedding photographer with 11 years of experience in photography, Julie understands how important it is in wedding photography for your day to flow organically as much as possible. Romance, beauty, personal touches, capturing the light and being relaxed are all the things that matter most to Shirley in her creative photography. Contact her for a truly unique photographer for your wedding day. I pride myself on quality, fresh and often locally-sourced flowers and foliages. Being a perfectionist and having a happy, practical nature means I will always do my best for you – choosing your flowers should be a happy, stress-free experience. Considering a beach ceremony? Beautiful Beach Weddings are proud to be a local Queensland business specialising in beach wedding themed decorations and accessories perfect for your outdoor ceremony. Arrive in style at your wedding aboard your own chauffeur driven classic vintage car with Gold Coast Luxury Vintage Car Hire. The cars are the ultimate in air-conditioned luxury on the inside and classically beautiful on the outside. Tyson Hair and Makeup is a Gold Coast, Brisbane, Ipswich and Byron Bay professional mobile hairdresser and makeup artist. Specialising in weddings and special events, choose Tyson Hair and Make Up for your special day. Multi Awarding winning designer, Helena Karkovic, specializes in exclusive made-to-measure bridal gowns. Find the perfect dress for your special day at Helena Couture Designs’ Maudsland studio. Heritage Wines is a versatile wedding and special events venue, with many seating and table arrangement options to suit any event. Guests will feel inspired and at home in this old church turned function center. This Mount Nathan venue in the Gold Coast hinterland offers a range of ceremony and reception options, with a beautiful chapel, the ability to hold outdoor ceremonies and versatile reception options. InterContinental Sanctuary Cove Resort invites you to discover a world of highly-personalised, award-winning wedding experiences that are uniquely yours. A multi award winning reception venue and clubhouse, set upon Australia’s first Jack Nicklaus signature Golf Course in the heart of the Gold Coast, makes Lakelands a unique choice of venue for your wedding. This waterfront wedding venue is right in the heart of the Gold Coast. With iconic views and packages to suit every wedding, Southport Yacht Club could be your perfect Gold Coast wedding venue. Tamborine Gardens Wedding And Function Resort is home to magical gardens, comfortable cottage accommodation, stunning reception centres and friendly staff to help you create your special wedding day. Whether you dream of hosting a grand formal evening or a small intimate gathering, choosing the Surfers Paradise Marriott Resort & Spa means you can experience 5‐star hospitality in a warm and relaxed atmosphere. Offering two spectacular locations you can tie the knot in the vines at Canungra Valley Vineyards or head up into the mountains surrounded by Lamington National Park – O’Reilly’s will make it a day to remember. Palmer Gold Coast offers romance, tranquillity and privacy for the most important wedding of the Year – your wedding! With a range of ceremony and reception options, Palmer Gold Coast will make your perfect day come to life. A spectacular setting for one of the most important days of your life, The Club is widely regarded as one of the regions premier wedding destinations with our award-winning events team specialising in making your dream wedding a reality. The range of Peppers hotels offer beautiful ceremony and reception venues for weddings on the Gold Coast, Sunshine Coast and in Northern New South Wales. With various options and locations, you can create the perfect day with Peppers. From an intimate gathering, to a lavish banquet your wedding reception at RACV Royal Pines will be breathtaking. Choose to impress your guests with an exquisite sit-down dining experience, or a casual cocktail reception. Set between the Gold Coast’s spectacular Broadwater and the Pacific Ocean, Sea World Resort is an idyllic location for unique and personalised wedding ceremonies and receptions. Create your perfect day with a range of wedding options. Your wedding day is a truly special occasion. A day where everything should be perfect, just like a Grand Mirage wedding. Tie the knot in an iconic Gold Coast wedding location for a day you and your partner will never forget. Surrounded by rolling vines and breathtaking scenery, Sirromet Winery promises a truly spectacular ceremony site, reception venue and limitless photo opportunities. Enjoy unique settings with three picturesque ceremony locations. Eagle Heights Resort provides the ultimate Wedding packages with all needs catered for at the one establishment. Their Wedding Arch is private and isolated and has the most spectacular view for your special day. Steve McMarson has been photographing weddings and producing creative wedding photos for 15 years. Documenting a couple’s wedding day is a privilege that he takes seriously, with careful planning to ensure that the shoot is just perfect. The Linda Pasfield Photography team goes above and beyond to capture “how you truly felt on your wedding day” and you can be certain that the high quality images will always be expressive, creative and never date! Brides Best Friend Photography are a team of privileged, photographic artists, guaranteed to capture your special day just as you always imagined it to be. Capturing your Wedding and all of its beauty in high resolution is their passion. Camilla describes her style as being simple, natural and fresh. She strives to capture authenticity and emotion, making clients feel comfortable and fun. She is based on the sunny Gold Coast, but would love to travel to where ever you would be! Make your wedded bliss glow last forever with images that capture the precious moments as they unfold on your wedding day. Lee takes the time to understand your personal preferences and vision for the day – and makes it a reality. Eufloria brings the joy of flowers to your special day! Your unique wedding styling will come to life with a range of beautiful floral options. Speak to Eufloria about your special day and let them create something special just for you. This Tamborine Mountain florist specialises in wedding florals. Contact Florabunda Flowers to discuss your special day, and have them create the look you love for your wedding bouquet and even your venue styling. Hyde Roses creates beautiful, fragrant wedding flowers and bouquets in any flower traditional or in hand tied appearance style, designed especially to compliment your dress and overall effect. Weddings are all they do so the focus is all on you. Beautiful Weddings Gold Coast have the largest range of ceremony products imaginable and a beautiful collection of reception décor, too. Their team of stylists and co-ordinators can bring your visions to life and create your perfect day! Event Letters is Brisbane’s signature provider of life-size, illuminated, freestanding letters providing only the finest quality for your event. Their light–up letters provide an exquisite backdrop for your wedding. A Fabulous Event are the longest running and most experienced wedding planning, styling and invitation service on the Gold Coast. They service the areas from Byron Bay to Brisbane and everything in between. Formerly A Little Vintage Bliss, you’ll receive nothing short of excellent service and truly unique styling from A Little Bliss Events. Get in touch to create your perfect day with a team that is ready to help you bring your wedding dream to life. Gold Coast Tipis are deeply passionate about creating beautiful events which are one of a kind. They are here to offer people of the Gold Coast and surrounding areas a very unique experience in outdoor events. A boutique design house focusing on weddings + events, creative projects and visual feasts. The Events Co. will create a wedding day experience that will leave a lasting impression. Let them be a part of your memorable journey. Two of the greatest moments in your life happen during a wedding – when you travel for the last time as a single woman to the ceremony, and when you first travel together as husband and wife. Choose the perfect vehicle for your wedding day! Excalibur Gold Coast is proud to own the unique classic wedding car hire in Gold Coast. 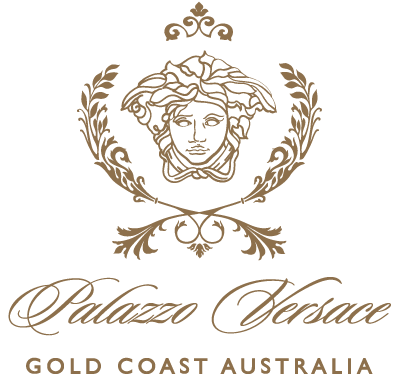 They are based in Surfers Paradise but take enquiries from any location in South East Queensland. Arrive in style with Vintage wedding cars on the Gold Coast. Champagne Wedding Carriages have over 20 years experience in the wedding industry. Experience the nostalgia of a bygone-era in one of our Elegant Cinderella, Smart Victoria, or Landau Carriages, available in Black, Burgundy or White. In the Booth Gold Coast provides the perfect photobooth hire solution for your wedding. We’ve had the privilege of boothing it up in some of the most amazing Gold Coast venues and would love to be a part of your next event. Explosive Entertainment are a reliable and reputable Gold Coast wedding DJ company with professional Gold Coast and Brisbane DJs who are passionate about their work and are experienced in wedding entertainment. Angel Strings are beautiful and unique entertainers, and are available in the Brisbane metropolitan area and beyond by arrangement, with string quartet, trio, duo or solo options to delight your wedding guests. Naomi Terashima is a talented and award-winning harpist specialising in entertaining at wedding ceremonies on the Gold Coast, Mt Tamborine and surrounds. Contact her for beautiful and unique wedding music. Modal Harmony is a guitar and flute duo or trio (with vocals) who specialise in beautiful music for beautiful occasions. With over 20 years experience, they can provide the perfect music for your special day. The signature creations team are professional Hair Stylists, Make Up Artists and Beauty Therapists who have been specialising in bridal beauty for many years. Contact them to discuss your unique bridal look. Looking great for any occasion is important and with the help of Bayly Allure, you can! They are the mobile makeup artist Brisbane, Gold Coast and Tamborine Mt. trusts for any special occasion. With year of experience as a chef and as a baker, Lisa has pursued her passion for creating beautiful cakes and is the perfect person to bring your wedding cake dreams to life! Discuss your cake wishes with Lisa today. Soaring above the white sands of Australia’s most iconic beach, Hilton Surfers Paradise lives up to its name; providing an oasis of style to create a memorable backdrop for traditional or boutique weddings. Wildhearted & Hitched is a boutique group of elopement specialists with a passion for creating beautiful elopements and intimate weddings for those who just want to run away and tie the knot in a simple, wholehearted and meaningful way. On entering our beautiful grounds Braeside gives you a magical feeling filled with nostalgia from a bygone era. Vintage chic meets breathtaking opulence with modern elegance and tranquillity at this Merrimac venue. Forget Me Not Farm is located in the beautiful and serene Byron Bay hinterland. The venue is in a superb location for your wedding with the feeling of lots of space looking over farmlands and a large, magnificent water feature. Our Club provides one of the most picturesque locations on the Gold Coast being on beautiful Burleigh Beach with our own Headland and National Park forming the backdrop for your unforgettable Gold Coast wedding. Let Tamborine Mountain Wedding Group take care of every element of your special day as it takes place in one of the most picturesque locations on the Gold Coast, Tamborine Mountain. Start planning your Tamborine Mountain wedding today.